All Posts Tagged With: "spirituality"
The largest of the Batu Caves , Cathedral Cave, was transformed into a Hindu in 1891. It is reached by climbing 272 steps (believe me). 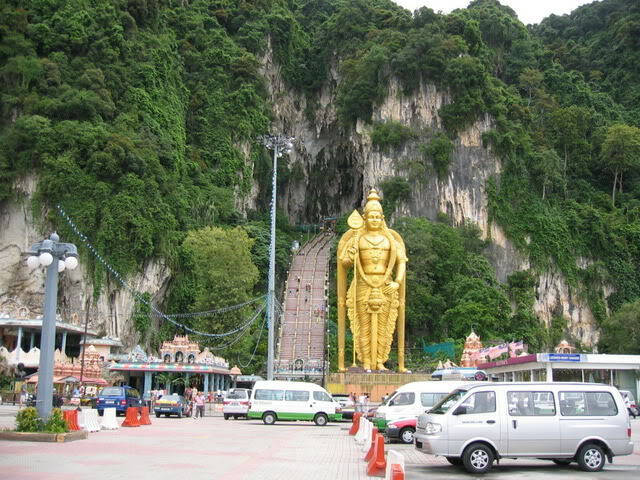 The temple is dedicated to the Hindu god, Lord Murugan (otherwise known as Lord ..
Buzz & Trends – A temple deep in the Batu caves. The Batu Caves are one of the most popular Hindu shrines outside India and the caves are the focal point of the Hindu festival Thaipusam in Malaysia. The c.
They say spirituality awakens at a particular moment – and that moment is necessarily different for each person.